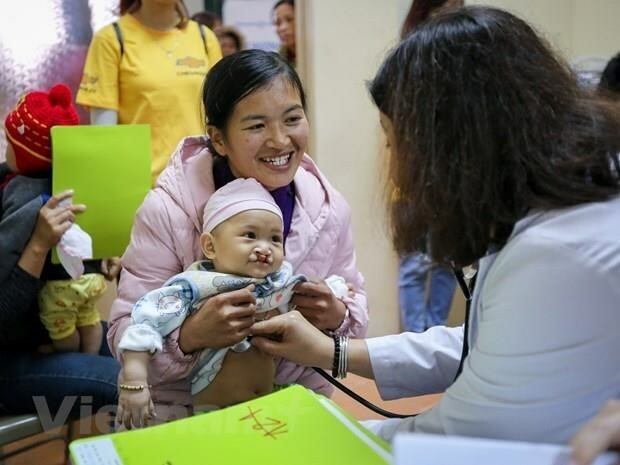 Thua Thien-Hue (VNA) – Surgeons from the Republic of Korea (RoK) and the Hue University of Medicine and Pharmacy provided free surgery for 30 children with cleft palates in the central and Central Highlands regions from March 17-21. Those children receiving operations were provided with 300 USD for surgery and hospitalisation costs. On the occasion, doctors also offered medical check-ups for children who had been operated on in previous courses. Deputy head of the Odonto-Stomatology Ward under the hospital of Hue University of Medicine and Pharmacy Tran Tan Tai stated that this is the fifth time the RoK’s non-profit organisation Global Care has coordinated with the university to organise free surgery programmes for children with cleft palate. To date, more than 100 children in the central and Central Highlands regions have benefited from the programme.